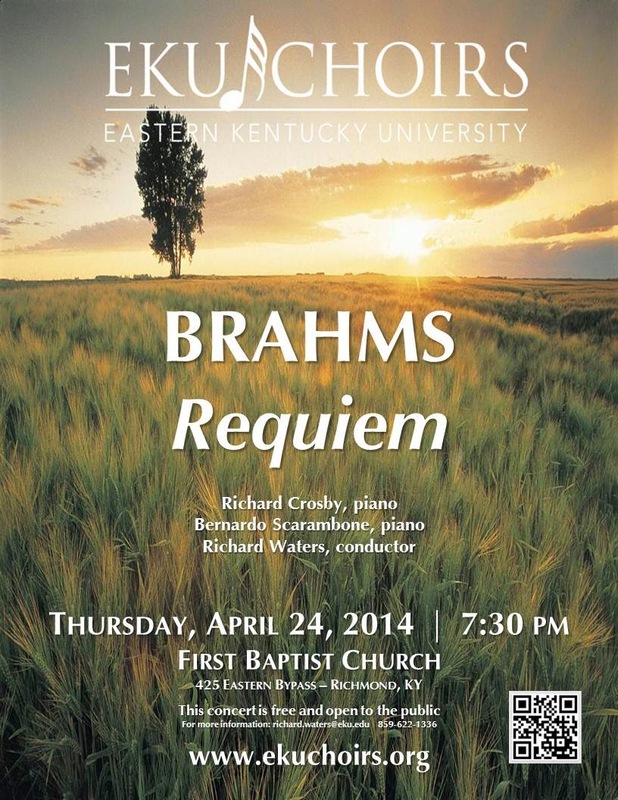 The EKU Choirs will present Johannes Brahms' "Requiem" on Thursday, April 24 at First Baptist Church in Richmond. We are performing the "London version" with piano duet accompaniment (featuring EKU piano faculty Richard Crosby and Bernardo Scarambone), sung in English. We hope to see you there!